New revised edition. A leading practitioner of Tibetan medicine, based in England, introduces the theory and practice of this increasingly popular system, covering its 2,500-year history, diagnostic methods, treatments and therapies, with tips for a healthy diet and lifestyle. Tibetan medicine, or the science of healing, is based on Buddhist philosophical principles, astrology and the close relationship between body and mind. The contents include case histories, techniques for treatment, the causes of illness, human anatomy and physiology and the practising physician. "Tibetan medicine is beneficial for chronic diseases such as digestive problems, arthritis, asthma, skin problems, problems related to the liver and kidneys, sinus problems, insomnia, anxiety, heart disease and problems related to the central nervous system. It also treats the roots of the disease and not just the symptoms. 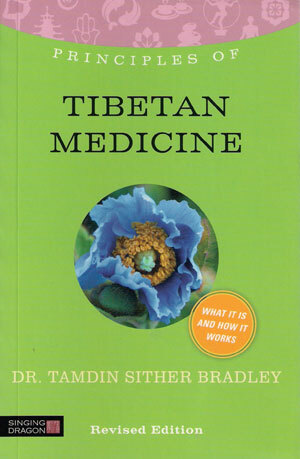 The Tibetan medical texts give the following example: A failure to treat the roots or the cause of the disease is the same as having a poisonous tree and just cutting off the leaves and branches without pulling it out from its roots; if you just cut the leaves and branches the tree will still continue to grow." Dr.Tamdin S.Bradley.